WALNUT CREEK, Calif. (KGO) -- ABC7 News Anchor Dan Ashley's Rock the CASA Foundation will hold its annual concert at Walnut Creek's Lesher Center for the Arts on Saturday, March 5, 2016. Tickets for this event just went on sale. 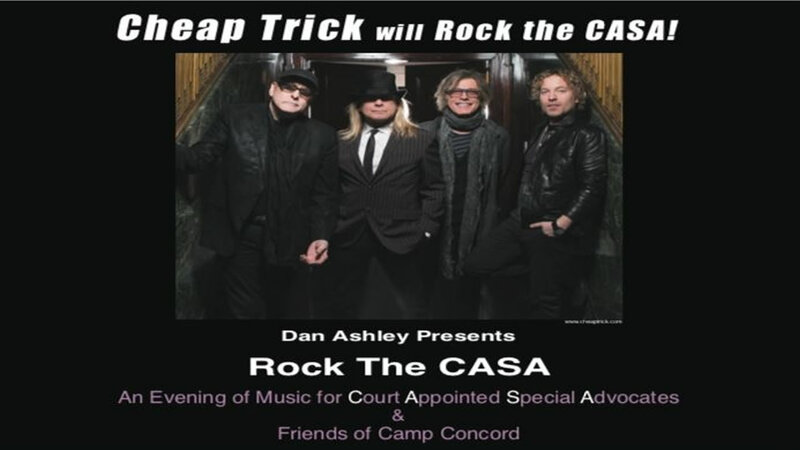 It will be an evening of music for Court Appointed Special Advocates and Friends of Camp Concord, featuring Cheap Trick. Imagine the sadness, confusion, and fear a child feels when removed from his or her home because of abuse or neglect. Through no fault of their own, children are taken away from their families in order to protect their health and welfare. But that process puts innocent young people into a legal system that can be intimidating for adults, never mind a child. But there is a remarkable organization that is there to support and care for children at that frightening time called CASA, Court Appointed Special Advocates. The dedicated volunteers of CASA give tirelessly of their time and love to make sure that the children in their care are supported in every way from attending court hearings, to helping with homework, to being a trusted parental figure. This important work is a labor of love for CASA volunteers who dedicate countless hours to the benefit of children in crisis. Their volunteerism requires extensive training and support. Dan Ashley, ABC7 News Anchor and CASA board member, founded Rock the CASA, a California non-profit public benefit corporation, to help provide funding for that critical training. Approved by the federal government as a fully tax-deductible 501-c3 non-profit corporation, "Rock the CASA" produces an annual music concert as the principal fundraiser to benefit Court Appointed Special Advocates. Rock the CASA also contributes funds to Friends of Camp Concord which sends hundreds of under-served children to summer camp at Lake Tahoe every year. Dan is also a long-time board member of FOCC and believes that every child should have the chance to experience a traditional summer camp regardless of economic circumstances. This year's event features the legendary, multi-platinum rock band Cheap Trick! With mega hits like "Surrender", "I Want You To Want Me", and "The Flame" Cheap Trick have influenced everyone from Green Day to Ozzy Osbourne. Now, classic, catchy powerhouse group will "Rock the CASA" to help Court Appointed Special Advocates and Friends of Camp Concord. When: Saturday, March, 4, 2017 at 8 p.m. Event sponsorship opportunities are available at a variety of levels! Contact: sponsor@rockthecasa.org or call 415-954-7271. 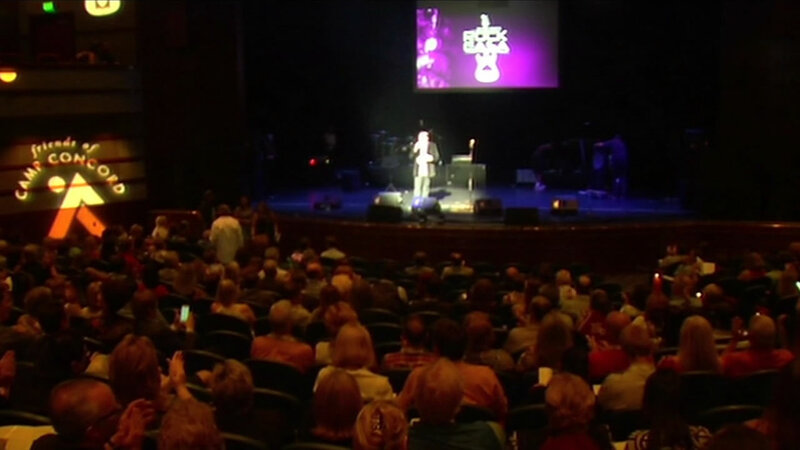 ABC7 News Anchor Dan Ashley's Rock the CASA Foundation hosted its annual concert at Lesher Center for the Arts on Saturday.